From oil change service to major auto repairs, the Service Center at Bob Moore INFINITI does it all. Our staff is highly knowledgeable and INFINITI certified, and as your premier car dealership in Oklahoma City, OK, we’re always ready to help. To extend our assistance outside of our service department, we’ve answered some frequently asked questions about INFINITI maintenance and auto repairs. 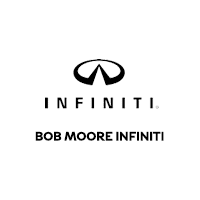 Read on to learn the best way to care for your world-class INFINITI car or SUV, then schedule an appointment at Bob Moore INFINITI – a car dealership Oklahoma City drivers trust. How Often Should I Schedule Oil Change Service? Car owners should seek oil change service at least every 5,000 miles or 6 months. However, that’s just a general rule. The best option is to consult your owner’s manual or a certified auto repair facility. If you drive an INFINITI, Oklahoma City drivers are in great hands. As part of your premier Oklahoma City car dealership, the Bob Moore INFINITI Service Center is fully certified and equipped to deliver the proper oil change service and other maintenance services your car requires. Plus, our certified technicians are highly knowledgeable in the world of INFINITI, and they’ll be able to provide a complete auto maintenance schedule for your particular INFINITI vehicle. Call today and give your car or SUV the treatment it demands. Schedule oil change service at Bob Moore INFINITI – a trusted auto repair center and car dealership in Oklahoma City. How Do I Know What Kind Of Oil Change To Ask For? Once again, the answer lies in your owner’s manual or right here at Bob Moore INFINITI in Oklahoma City, OK.
It’s extremely important that you consult one of these resources as well since each engine is unique. This is especially true of INFINITI models. For instance, late-model INFINITI vehicles contain cutting-edge technology under the hood, so they may require synthetic blend engine oil. Meanwhile, early-model INFINITI cars (or any older vehicle) could require tradition motor oil or even high-mileage oil. It’s important that your vehicle receives the correct product when you schedule oil change service because the moving parts in your engine depend on it. Proper oil change service will extend the life of the vehicle, while failing to follow the proper guidelines could result in costly auto repairs. Schedule oil change service today at your trusted Oklahoma City car dealership – Bob Moore INFINITI. What Other Auto Maintenance Services Should I Schedule? The better care you take of your vehicle, the less you’ll spend in auto repairs, and there are several maintenance services you can schedule to ensure your car’s health. Along with oil change service, wheel alignments, tire changes, brake repairs, and battery replacements are all crucial to your vehicle’s performance. Plus, neglecting these services can lead to dangerous driving conditions and expensive auto repairs. It’s always important to maintain various fluids in your car, and your hometown Oklahoma City car dealership – Bob Moore INFINITI – is fully equipped to do so. Whether or not you drive an INFINITI, Oklahoma City drivers can always depend on Bob Moore INFINITI for first-class car care. Visit the world-class auto repair and service center at our Oklahoma City car dealership today. One last thing to consider when scheduling auto repairs or auto maintenance is the reputation of your auto repair facility. When receiving oil change service or auto repairs at Bob Moore INFINITI, Oklahoma City drivers can trust that they’re receiving top-rate car care. With our fully certified staff and state-of-the-art service center, we’re equipped to deliver precise auto repair and maintenance for any INFINITI model. Get the most out of your INFINITI vehicle. Visit our auto repair center at Bob Moore INFINITI today – your premier Oklahoma City car dealership.